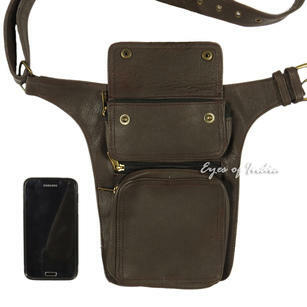 This Double Sided Leather Belt Bag serves as your best companion when out travelling, enjoying days out – or commuting. Easily accommodating everything you would need to carry for a full day out, two large leather pouches which are integral to the belt, store safely, securely and comfortably everything you need. 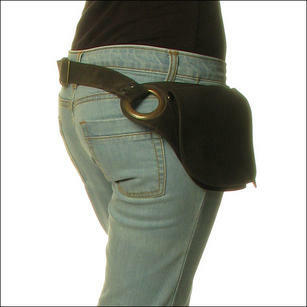 There’s also a hidden zipper pocket for items you want to safely store away. 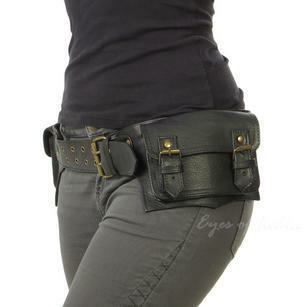 Of course, this belt is also incredibly stylish. Handmade in the traditional methods, by artisans in India who have learnt their leatherwork skills for generations. 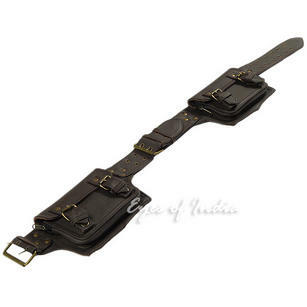 Because of the small numbers in which this belt is manufactured, each piece is truly unique and sourced ethically. We ensure that everybody pays a fair price for an item we supply, and that includes us paying our independent suppliers a fair price, helping safeguard their industry for future generations to enjoy. As ever, if you have any questions about this product – please do just get in touch and we will be happy to help. This is a fantastic, practical, and well-made item. Both pockets are big enough to fit modern larger/plus sized smartphones, as well as everything you'd need for a day out and about. 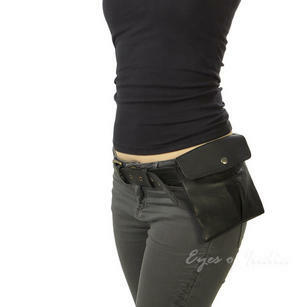 These two pockets buckle up securely, unlike pockets that just have insecure snap closures. Adjustable front and back belt section. I'm very pleased with this purchase!